The Digital Age is upon us. The ability to freely transfer information demands being connected. CarolinaComm® connects its clients and you can be connected too. A full-service telecommunications company, we offer a comprehensive line of voice and data communications products, services, and solutions. We do more than provide services. We build relationships that better meet clients’ needs. More than 20 years’ experience serves us well in advising and serving Southeastern clients, large and small. 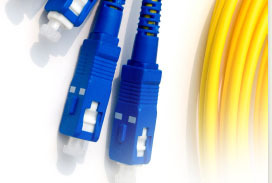 Experience and expertise—service hallmarks—enable us to install the highest-quality systems and networks. When it comes to meeting all ANSI/EIA/TIA Standards, we’re on top of it. We use state-of–the-art test equipment to certify all copper and fiber optic cabling and provide hard copy test results.